A roof estimate in Dayton, Ohio should always be given in person, never over the phone. And it needs to be backed up with integrity and honesty. We feel so strongly about this that we send our most experienced person to do your free, no obligation estimate: the owner of the company! It costs you nothing to learn about our expertise in replacement roofs and roof repair. To schedule your FREE roof estimate in Dayton, Ohio in person, and in detail – Call 937-681-8910. What questions must be answered in order to give you a fair and accurate roof estimate in Dayton, Ohio? What are the exact measurements of your roof? How steep is it? This is called “pitch”. How tall is your structure? Is it more than one story? How much material is there to “tear off” if needed? How much rebuilding of substructure might be needed? Our roof estimate in Dayton, Ohio gives you details not only on the cost, but also the many benefits. 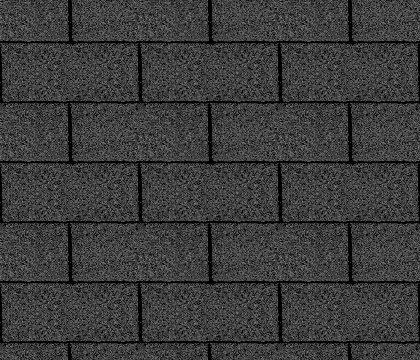 Asphalt shingle is often the most affordable material. The estimated useful life of a standard asphalt shingle roof has been rising due to new manufacturing improvements. Where once you might only get 15 years out of a roof, now 25 years is average. Metal roofing costs less than slate, and has the longest life expectancy. Surprisingly, metal is very energy efficient and no noisier than asphalt shingle. Manufacturer warranties generally cover defective materials and roofing systems; not all manufacturer warranties are the same. You’ll get a full explanation during your roof estimate in Dayton, Ohio. Energy savings can pay you back for the cost of the roof. Next-generation reflective roofing causes 90% of the sun’s radiant energy to bounce off and away from the surface of your roof. That means heat is not passing through to your interior. It dramatically reduces the demand for cooling in your home. Federal energy experts say it is possible to cut cooling expenses in half by having a professional roofing company install an energy-efficient roof. Schedule a free cost quote for repairs, too. If you’ve discovered roof damage, usually because of a leak, we promise a timely roof estimate in Dayton, Ohio. If the repair is due to a storm, lightening or fire, we can be your advocate with insurance companies by providing detailed analysis and expert assessment. How many shingles or tiles will have to be taken off? What condition is the decking underneath? Might it need to be replaced? In cases of fire it’s almost assured. Is there any damage to the decking that will need repair? Do you need insulation replaced? Is there wet wood framing? Is there damage around chimneys, turbines, vents, skylights, or other structures? Our roof estimate in Dayton, Ohio will take a thorough inspection into account. How large is the roof being replaced or the area being repaired? Call 937-681-8910 for a roof estimate in Dayton, Ohio today.